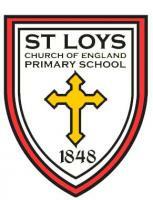 St Loys is a very small, but expanding, primary school that serves Weedon Lois and the surrounding district. Very few pupils are known to be eligible for free school meals but the proportion of pupils with learning difficulties is above that found nationally. Almost all pupils are from White British backgrounds. Children enter the school with skills that are broadly at the level expected for their age. Pupils identifying how they learn best. Select a NAACE Membership level to join.